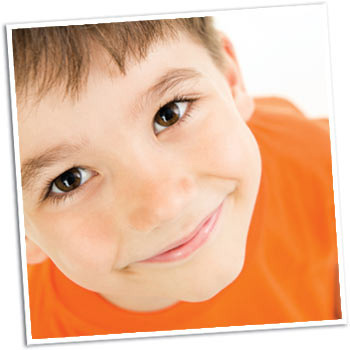 Reproducible children's bulletins you can customize and personalize. Over 1,500 Bulletins to choose from. Your membership offers you unlimited access to an enormous online library of bulletins built around passages from virtually every book of the Bible – from both Old and New Testaments! Need to match the pastor’s sermon at the last minute? No problem. Go online, find the bulletin you need and download it in seconds. Each bulletin is packed with Bible-based activities. Each bulletin has 4 panels packed with puzzles ... word searches ... seek-and-finds ... dot-to-dots ... and many more Bible-based activities that children love. Perfect for Church or Home Use. Customize your children's bulletins before you print them. We make it easy for you to enter your church’s name, address, website or any other information you wish to include, including a logo or illustration. Or, if you use them at home, you can turn off personalization or use that space to add a memory verse or message suited for your family. Bulletins teach basic Scripture knowledge, not doctrine. 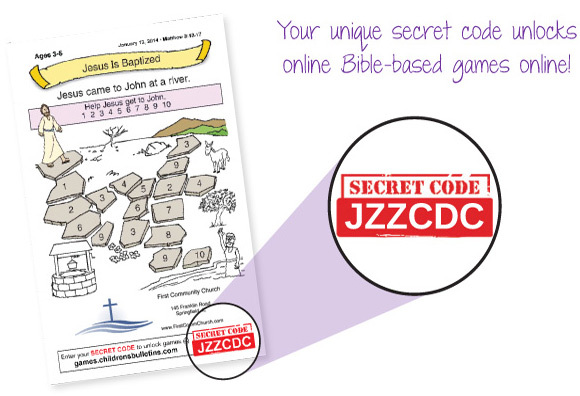 They're carefully designed using proven educational methods and endorsed by Christian educators and pastors of all denominations. Since they teach basic Scripture knowledge, not doctrine, they're perfect for all Christian churches. Available in two age groups. Two age-group versions enable you to select the one that best meets your needs. Choose from Ages 3-6 and Ages 7-12. 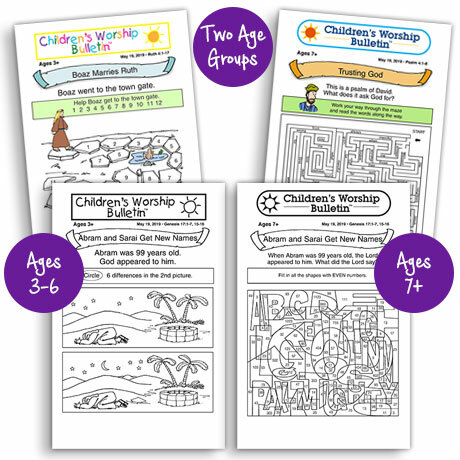 Begin a membership to both age groups of Children's Worship Bulletins today and SAVE 50% on the second age group for the first year of membership. Customize and personalize your bulletins. 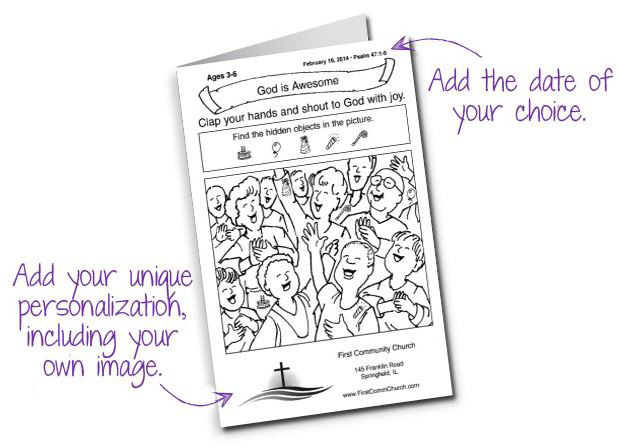 Children's Worship Bulletins help children identify with your congregation. And when they take them home, they become an advertisement for your church - an evangelism tool to share with others, and a reminder for your children to check out your church’s website while they're at home. You can even add a logo or illustration. You'll be sure to grab your kids’ attention when you hand them a colorful and fun bulletin from our huge selection of color bulletins available online. If your kids prefer to do the coloring themselves, we’ve got you covered! Every bulletin is also available in black and white. Other bulletin services send you bulletins based on a predetermined Scripture for each week, and that’s your only choice. Not with Children’s Worship Bulletins! Simply search by the Scripture you want and download the associated bulletin. Or use our handy Topic Search to find bulletins surrounding popular Christian topics and themes. Some days you simply just don’t have the time to go searching for the bulletin you need; that’s why every Monday we deliver the upcoming Sunday’s bulletin right to your inbox. Choose between the Revised Common Lectionary (RCL), RCL with Lutheran variations or even Lectionary for Mass Scripture schedule. 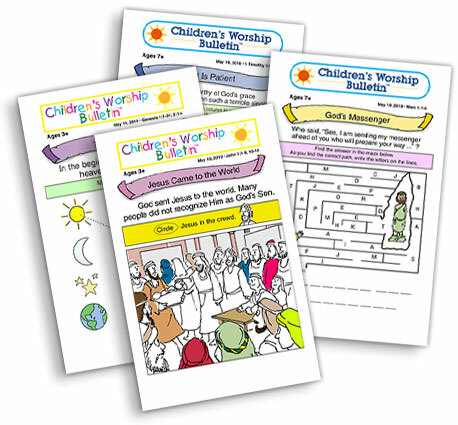 We guarantee that Children's Worship Bulletins will provide relevant, fun material for your children to use with your weekly services, AND give you access to more bulletins and puzzles than you'll find anywhere else! Better yet, they're conveniently available to you at any time. And here's our guarantee: If at any time you're dissatisfied with Children's Worship Bulletins for any reason, we'll cheerfully issue a prompt and full refund - no questions asked. That's just how confident we are that you and your children will love Children's Worship Bulletins. Children's Worship Bulletins @ Home! Children will hold on tight to their bulletin following services because, after they get home, they can enter their secret code from the bulletin into a safe and secure website and continue the learning and fun! Kids will be so eager to pick up their bulletin each week to get their new code, churches will never be left with wasted and leftover bulletins again. Plus, we know your time is precious, so getting set up is FAST - simply log in to your Children's Worship Bulletins account, turn the feature on and you're set. We've even provided all the promotional material you'll need to inform your members and teachers about this new feature. Parents can feel good about sending their kids to our @Home site, knowing they're in a safe environment where they can have fun and continue to reinforce the Bible stories they are learning at church. Safe browsing for children is non-negotiable for us - and we've worked hard to take advantage of the latest web security features. We do not capture any data about the players or download any game plugins to a computer that might be vulnerable to spyware. Plus, children will never see an ad (not even for our own products), so you can feel confident that kids are having a safe playing experience. FREE with your electronic membership. Children's Worship Bulletins @Home won't cost you or your members a dime more - it's included absolutely FREE with your electronic membership of Children's Worship Bulletins. That's right, there's no fine print - it's something we're proud to offer you as PART of your online membership without raising the price. What Customers are saying about Children's Worship Bulletins. Thank you for week after week of good materials that I can make available to the children to keep them busy yet teach them something from the Word at the same time." I just want to say THANK YOU for such a wonderful resource! I'm sure the kids will love them on Sunday and we can't wait to use them this week! May God bless your heart and use your creativity to bless many others!" Our children were ecstatic about the bulletins on Sunday. They felt so important to receive their very own bulletins. We are very glad to have received the card in the mail inviting us to subscribe to this service"
I have used your bulletins for several years now in children ministry. Just a note to say, "thank you" for all the work you have put into the bulletins to make them available to children. They have been a real asset in preparing or reviewing Bible lessons." Thank you! Well done, good and faithful servants! I am so impressed and thankful for all of the work you have done: Old Testament, color, account management, everything. Wait until my teachers see what you have done. God bless you much. A happy and thankful customer." Just started my subscription today and can't tell you how excited I am for our children. We are a very, very small country church and I have recently been asked to help revive our failing Children’s ministries and this resource is an answer to prayer. ...Thank you, thank you so very much for the work you do to help disciple our children in the formation of their faith. God's blessings on you all." Put Children's Worship Bulletins to the test by signing up for our 30-day, no obligation trial period, and see for yourself! That's right, for one month you can download and print bulletins to share with your children. At the end of the month, you can either cancel or continue. Begin a membership to both age groups of Children's Worship Bulletins today and IMMEDIATELY begin engaging your children in worship. They'll thank you! Connect with us on Facebook for more resources, tips, tools and discussion to strengthen and revive the children's ministry in your church.